Find us in the Distribution Center, as well as on our Facebook and Twitter. Rob Lamppa is the Director of Energy, Infrastructure and Chief Sustainability Officer at Wellesley College, where he has responsibility for the College’s central utility plant and related distribution systems; for developing plans and programs to reduce the campus carbon and energy footprints; to realign the waste, recycling, and composting program to minimize cost and reduce overall quantities; to oversee the Office of Sustainability; and to help integrate and foster a culture of Sustainability across all campus constituencies. 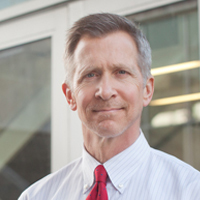 His overall goal, along with the help of the campus, is to see the principles of sustainability become “just the way we work and live, at Wellesley”. As a recent graduate of Sustainability and Environmental Management at Harvard, Dorothea has focused on consulting with municipalities and businesses on solar power procurement options. Originally from Germany, she has a deep passion for saving energy whenever the opportunity presents itself, such as putting solar panels on her house and riding an electric commuter car. Dorothea is an elected Town Meeting Member in Needham, where she has been actively involved in several green initiatives like the very successful Mass Solar campaign, where over 100 homes signed on to solar panels. She enjoys the outdoors of New England in all seasons, is an avid road biker, accidental gardener, and cross-county skier. Jenn ('19) is a Biology and Environmental Studies double major interested in ecology, climate change and the interaction between local stakeholders in the environment and scientists. She thinks that sustainability should be accessible all socioeconomic and racial groups. Her passion for sustainability grew out of an interest in the biology and natural world but rose outside the sciences to the social issues that control how humans interact with the environment. Although she loves public transportation and biking, as member of the Varsity track and field team her favorite form of transit is running, and has run into Boston on occasion. 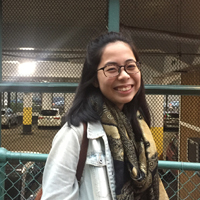 Hazel Wan Hei ('20) is a History & Political Science major from Hong Kong. She’s passionate about the history of urban environments and public transportation, as well as the intersections of environmental sustainability with race and class. When not taking care of the bikes on campus, you can find her walking around Lake Waban or eating in Chinatown. Cass Michaud ('20) is double majoring in Political Science and Classical Civilization. 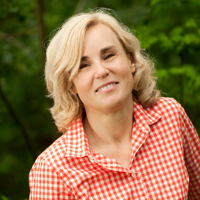 She is passionate about protecting the environment, sustainability, and environmental policy. In her free time, she enjoys watching superhero movies, baking, and playing Ultimate Frisbee. Isabela ('21) is a sophomore from Peabody, MA, majoring in Environmental Studies and minoring in Economics. Her passion for environmentalism started at a young age—as a native of the Philippines, she was motivated by the pollution she witnessed on a daily basis to pursue environmental work. When she is not playing squash or dancing, she can be found at events that serve free food. Jasmine ('21) is a sophomore and is interested in Media Arts & Sciences. She is from Sunnyvale, California, where she was an officer in several environmental organizations. As an intern for the Office of Sustainability, Jasmine is part of the Sustainable Workspace Certification and the Green Department Certification programs. She is passionate about environmental justice and the intersection between science communication and social action.